To further strengthen the ties with the water sector in Greece, a workshop took place on 31 October prior to the Watershare Annual Meeting. In the workshop the water utilities from Athens (EYDAP) and Thessaloniki (EYATH), the Office of Urban Resilience of the city of Athens and NTUA presented the historical development of the water supply and wastewater systems in Greece, as well as current challenges and advances in research. EYDAP and EYATH provide water services to 50% of the Greek population. The two water utilities have a lengthy history of fruitful cooperation with several Watershare members in international projects. Greece has to face a considerable spatial and temporal imbalance in the demand and availability of water. Western Greece is blessed with abundant fresh water, whereas the eastern part of the country, with Athens and Thessaloniki as major demand spots, suffers from water scarcity. The Athens region has moreover to deal with strong fluctuations in population as a result of tourism and immigration. This has led to the development of an extensive water infrastructure with dams and long transport lines. A particular lesson shared with the attendees was that dams have proven to be inadequate for climate-proof solutions. Nowadays, peak demand reaches the capacity of the water system, which urges EYDAP to improve system reliability. Measures include distributed systems for non-potable water on the basis of sewer mining, demand and leakage management, and water pricing. Effie Nestoridi, EYDAP Executive Director of Coordination & Supportive Operations, presenting utility challenges and stressing the importance of international cooperation. Timos Lytras, EYDAP Deputy Director, Environment and R&D, presenting the company history, challenges and R&D strategy. Alexandros Mentes, EYATH Head of Strategic Planning & Project Management Office, discussing smart metering with PUB colleagues. 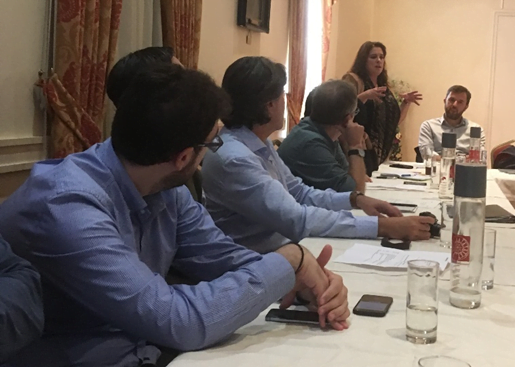 EYATH is facing similar issues, and their representative’s presentation elicited a lively discussion on their advanced smart water metering programme. 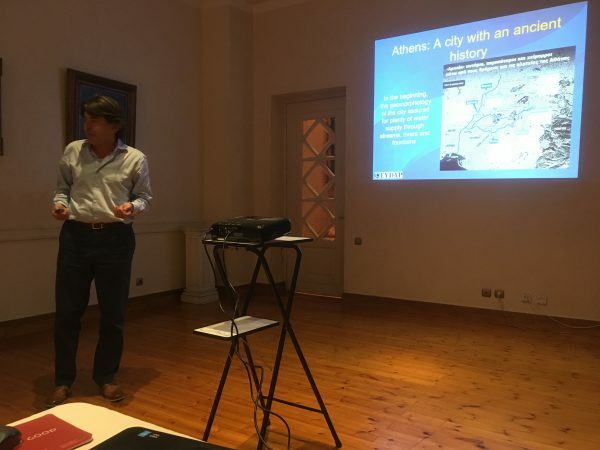 Of particular interest was the contribution from the Office of Urban Resilience of the city of Athens, with many links to the resilience work ongoing in Watershare. 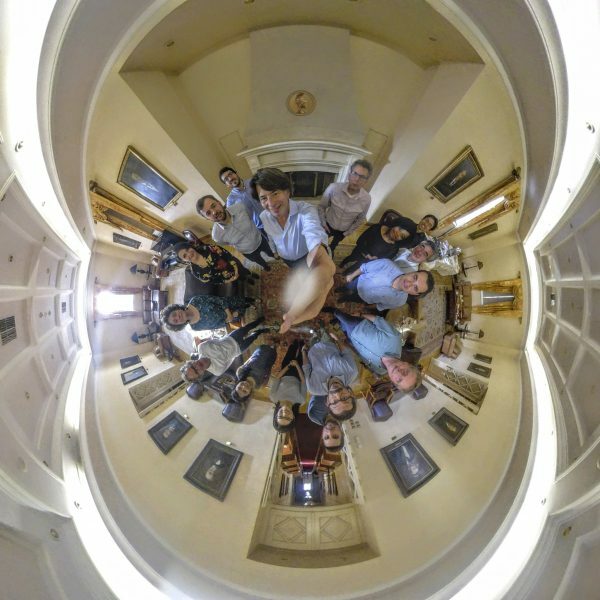 Workshop participants gathering around for a 360o picture. During the wrap up, attendees identified several topics of common interest and candidates for future cooperation. Examples are the work on resiliency and water demand management, the need for data on pipe failures and best technologies for rehabilitation, experiences with smart water metering, including replacement policies, and also practical topics such as disinfection practices. All these will be taken on-board in the Watershare plans for 2018/2019. ‘It was impressive to see,’ said Bodo Weigert of KWB, ‘that EYDAP has an own powerful internal research unit and EYATH is developing a smart-smart-metering system in Thessaloniki’. 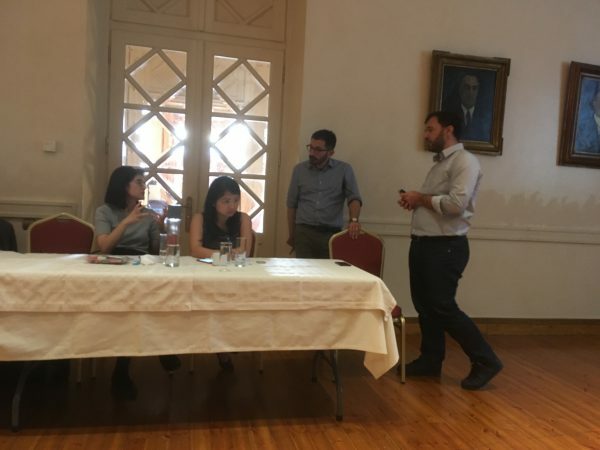 As a final comment on the meeting, Watershare members were also impressed by the fruitful cooperation between NTUA and the water utilities of Athens and Thessaloniki. 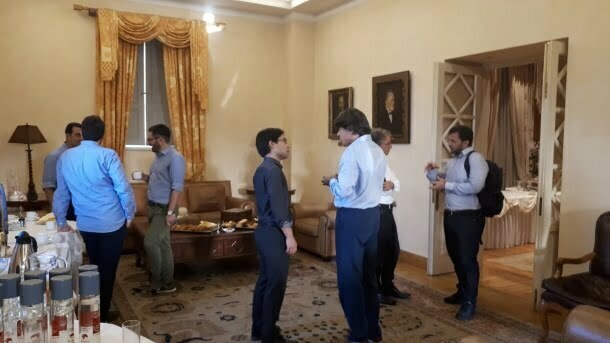 Lively discussions during coffee break.